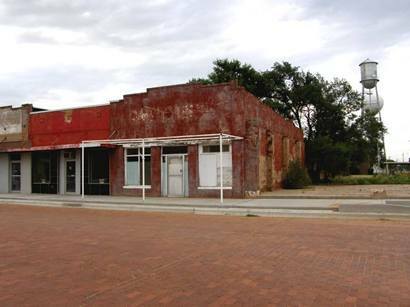 Ralls, the largest town in Crosby County was founded by John Robinson Ralls. 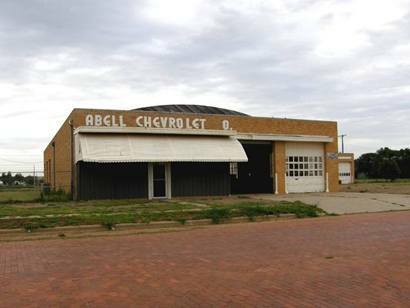 He was also the town�s benefactor. W. E. McLaughlin helped Ralls plat the townsite in July of 1911. 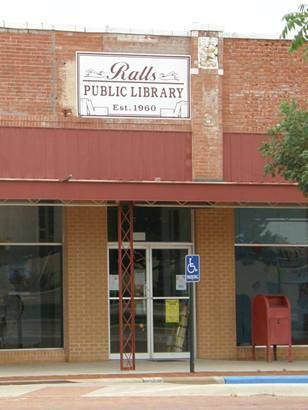 Ralls paid to have a number of businesses and houses moved from the community of Emma. 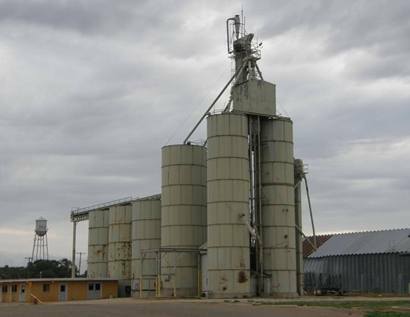 The idea was to be near the Santa Fe Railroad tracks � a move that rarely failed. 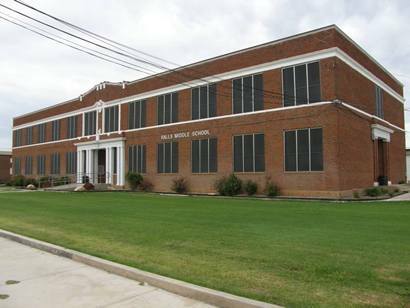 Ralls also donated land for a new school and in 1913 a new school opened in a $17,000 building. Ralls plan bore fruit. 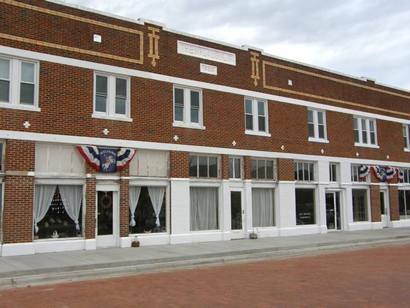 Being on the railroad brought the town prosperity unimaginable in Emma. Most importantly the railroad brought an infusion of settlers � the lifeblood of any embryonic town. 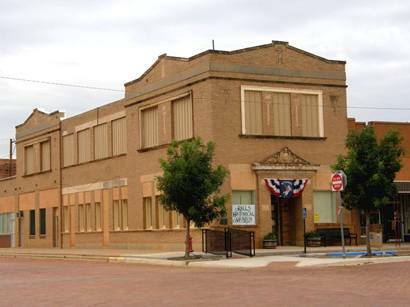 The chamber of commerce was founded in 1917, with John�s brother Percy as president. 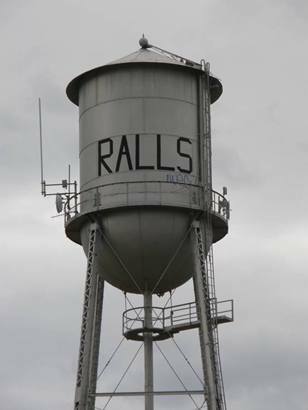 Ralls was incorporated in 1922 with a population of just under 1,000 Rallites. 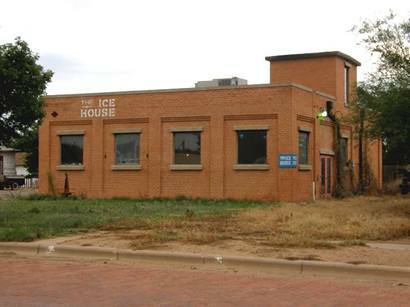 Ralls suffered like many Texas towns during the 1930s � but almost exactly halfway through the decade � June 19th, 1935 � Ralls suffered one of Texas� worst hailstorms. 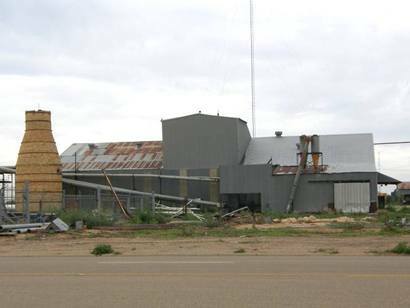 Two citizens were killed and the cotton compress was left without a roof. 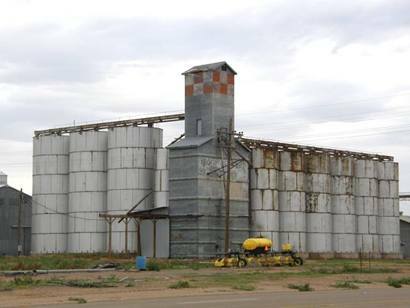 Irrigation improved crop production and helped Ralls withstand the droughts of the early 50s. 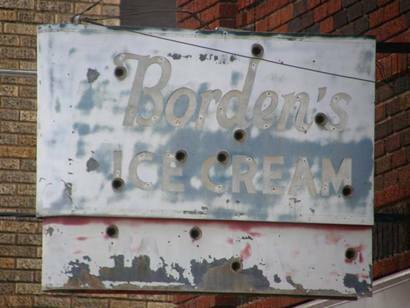 Borden's Ice Cream Ghost Sign. 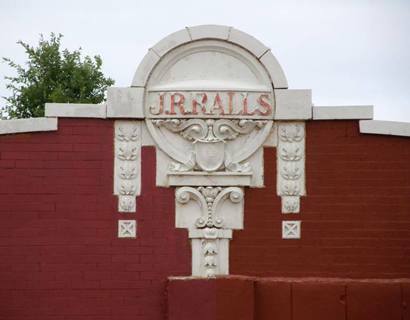 Founded by John R. Ralls, who donated land for a townsite. 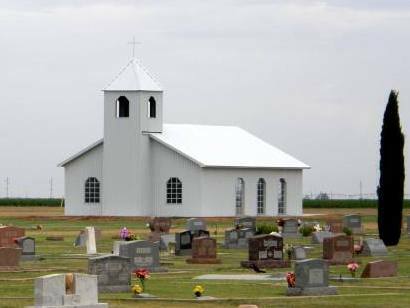 He erected greater part of the business district and gave free sites plus much of the cost of building each church in town. 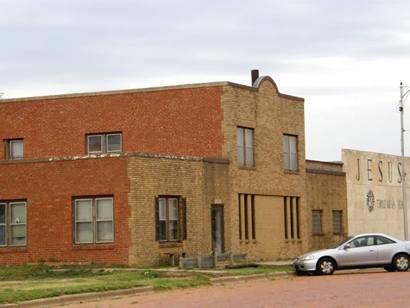 In 1911, he contributed 12 acres for school site. 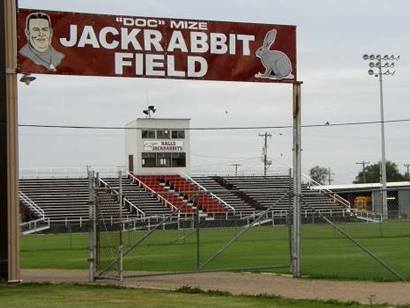 He also offered donation of 2,000 acres for site of Texas Technological College. 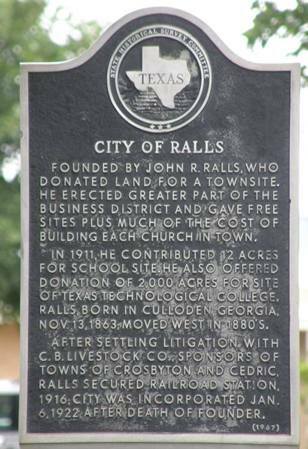 Ralls, born in Culloden, Georgia, November 13, 1863; moved West in 1880's. After settling litigation with C.B. 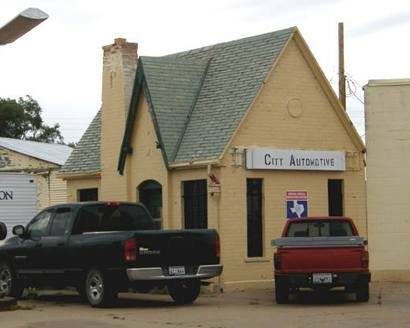 Livestock Company, sponsors of towns of Crosbyton and Cedric, Ralls secured railroad station, 1916; city was incorporated January 6, 1922, after death of founder.